Good news for car rental customers as an app has been developed to enable users to process a rental service direct from their mobile or tablet devices. 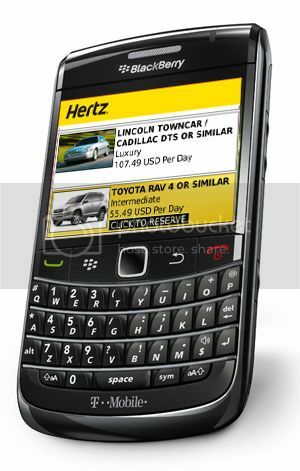 The new app, developed by The Hertz Company, is intended to make customers car rental service quicker and easier. The app is called ‘24/7 On Demand’ and it enables the customer to process a car rental booking at any time night or day. It is especially useful for last minute trips or unexpected travel, especially if you have to leave at odd hours during the day or night. Not only that, but Hertz’s car hire is cheap and useful in the day time as it is a much faster service than waiting on the telephone or finding a computer to access the full website. With the rise of the smart phones, our demand for greater accessibility to services has increased. We expect to be able to book what we want, when we want it, which is where the benefit of apps can help. There are an abundance of service based apps available and the website www.getapp.com displays the latest apps available. The app for ‘24/7 On Demand’ is basic in design and functionality and achieves its aim of making it a smooth, easy process for a customer to rent. It is because of its basic design that a user is able to complete a rental booking in simply a few clicks. It is especially convenient for users who travel repeatedly and also those who travel less often. Perhaps the greatest feature of this app is the fact that it enables the user to rent a car by day or by the hour, which is ideal for last minute, unexpected trips.